I just watched that seed germinating video. Interesting stuff, I think I'll try to adapt some of that for some of my own older seeds. 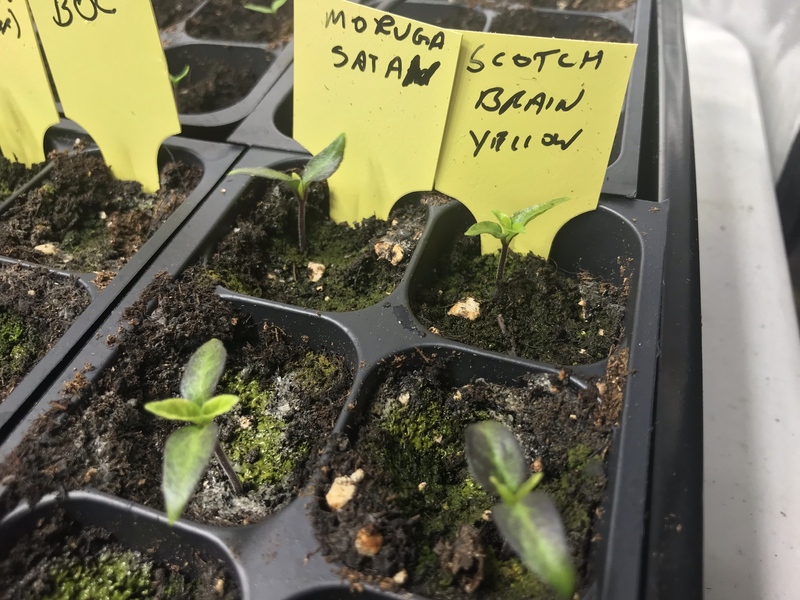 Last year, Rick (stickman) said something about using fulvic acid to stimulate germination, but I haven't found a good source for that, yet. 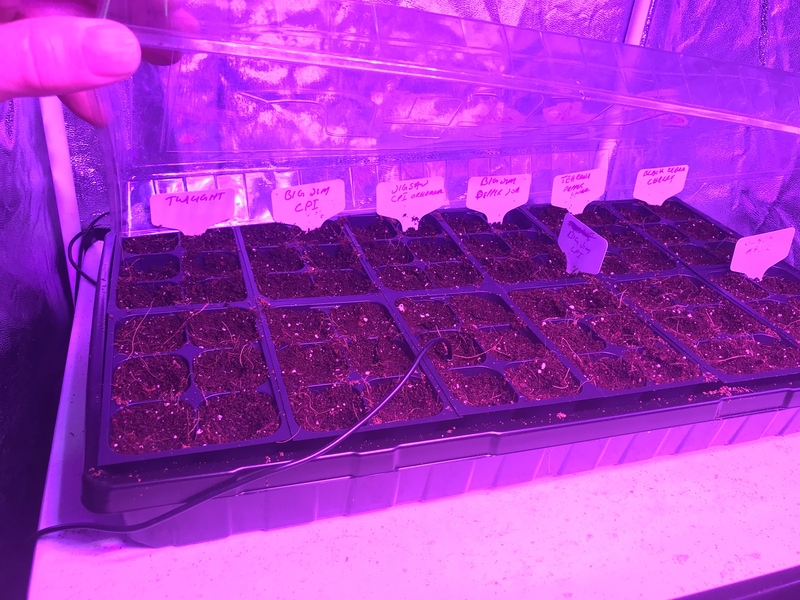 Fresh seeds...we have lift off! Back in business! Great to see those hooks! Thanks Paul...I doubt it, but we shall see. 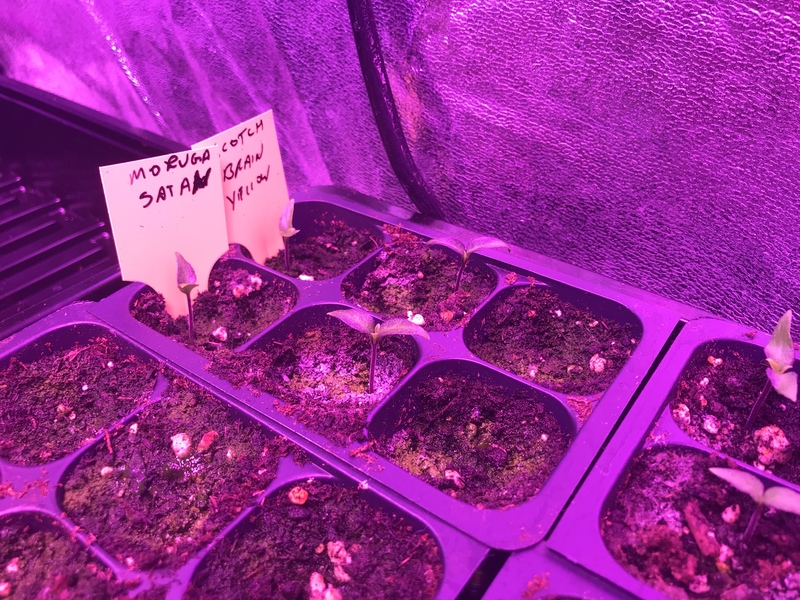 I also have some Doughah, Carmel Scropion and Moruga Satan up and running. Full update tonight. Sawyer...thanks for the link and tell Rick to come on back to the dark side! 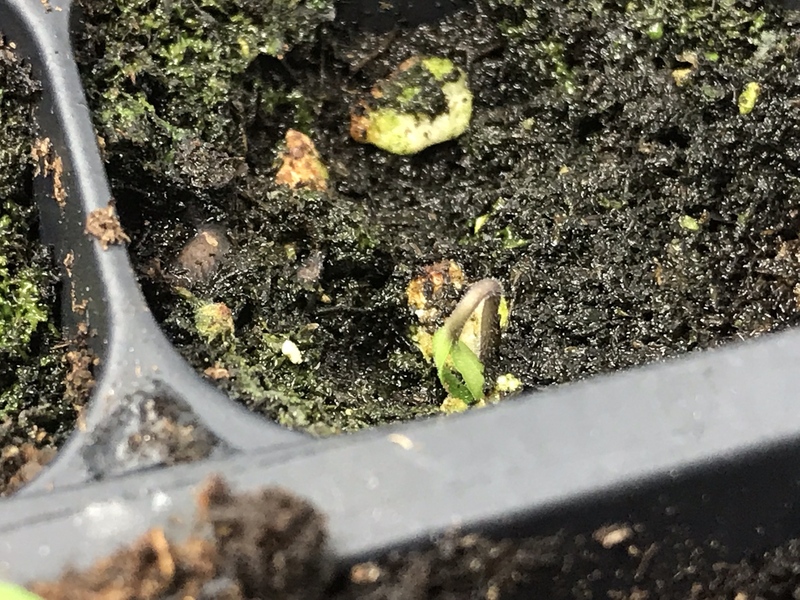 New seedlings! Sounds good, brothah! Ughhh...posted all this once only to loose connection...so here they are again. That's all for now...the Pepper Lover seeds arrived about a week after these, so they should start popping over the weekend ...so far so good though. 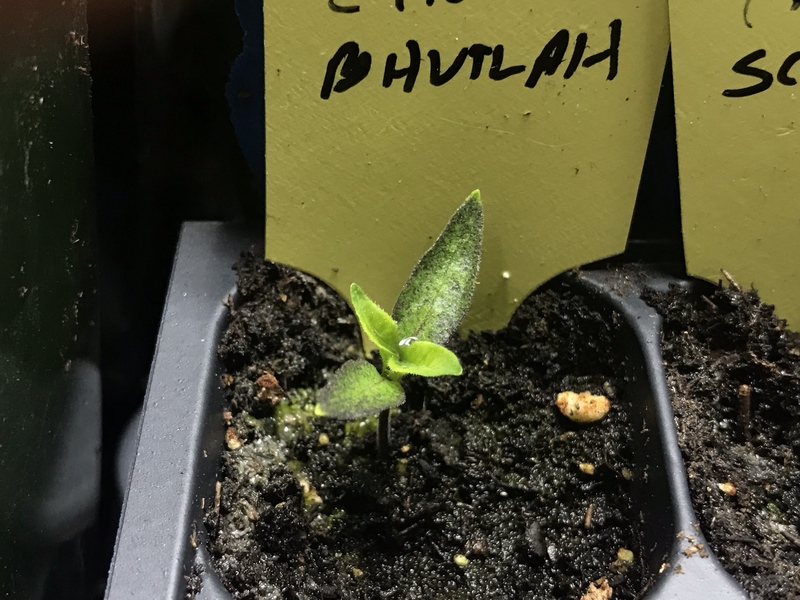 May try again on some of my old seeds...there are some old crosses that I would hate to see gone for good. 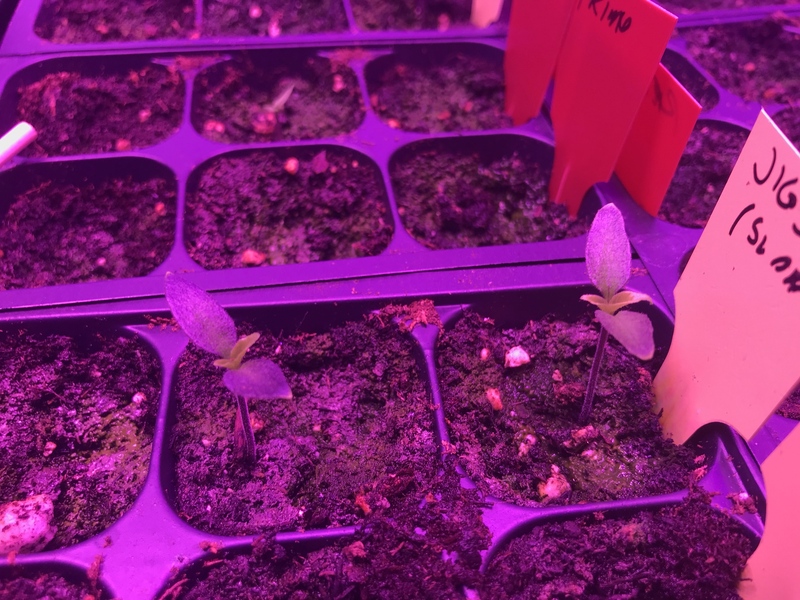 Hope y'all's grows are going well! Looking good STC! I hope you're able to get some of the old stuff going too and recover the lines. 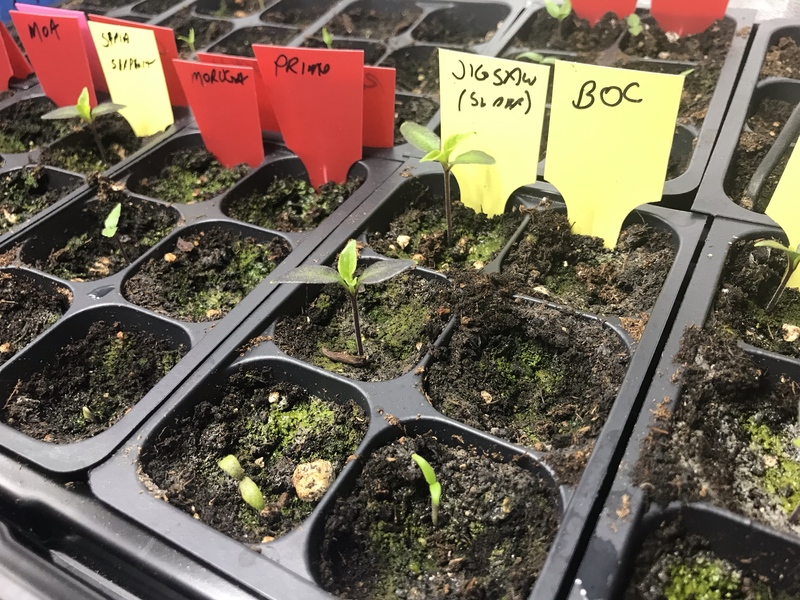 Planning to grow any heat this year or just those snacking peppers? Edited by CaneDog, 24 January 2019 - 10:26 PM. Not a big fan of hot foods...may throw an Anaheim in for some spice later on. Edited by stc3248, 24 January 2019 - 11:27 PM. So...I start looking for some new Goat's Weed seeds and this pic comes up on dozens of sites. Which is funny since it's from my 2013 grow log...wonder what the poor folks that actually order from them receive??? Probably not what they ordered for sure. One of my favorite parts of the grow. 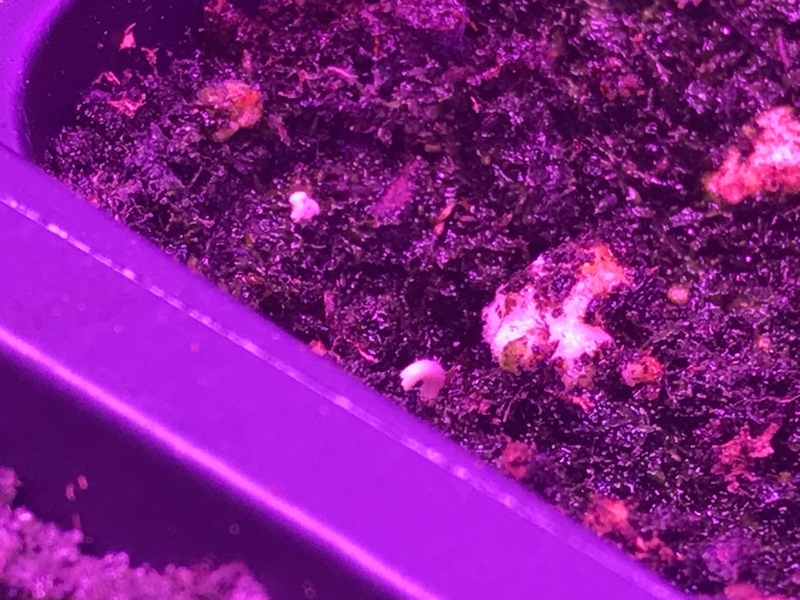 Every time I check...new life emerging! True leaves starting to show...ahhh. 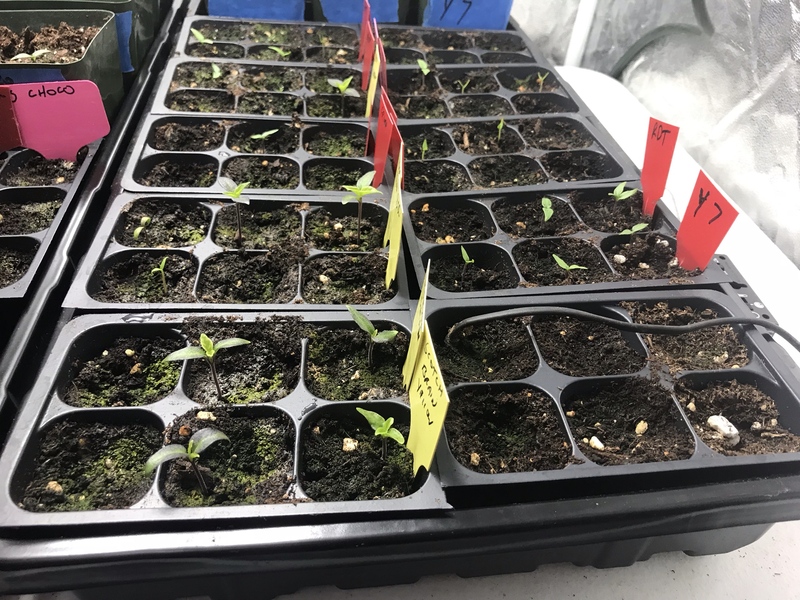 Still a few no-shows on the fresh seeds...Fatalii, Reaper, Chocolate Devil's Tongue and Bhut Orange Copenhagen...but the Tepins pulled them selves off the no-show list this afternoon with a tiny hook. Still early enough I think the other no-shows all have a good shot. Betting withing the next couple days that list will be cut in half... Really good numbers on the rest with several going 100%. I have a nice sized yard here in town and I just aquired a 2.5 acre property outside of town...so room for as many as I feel like starting. 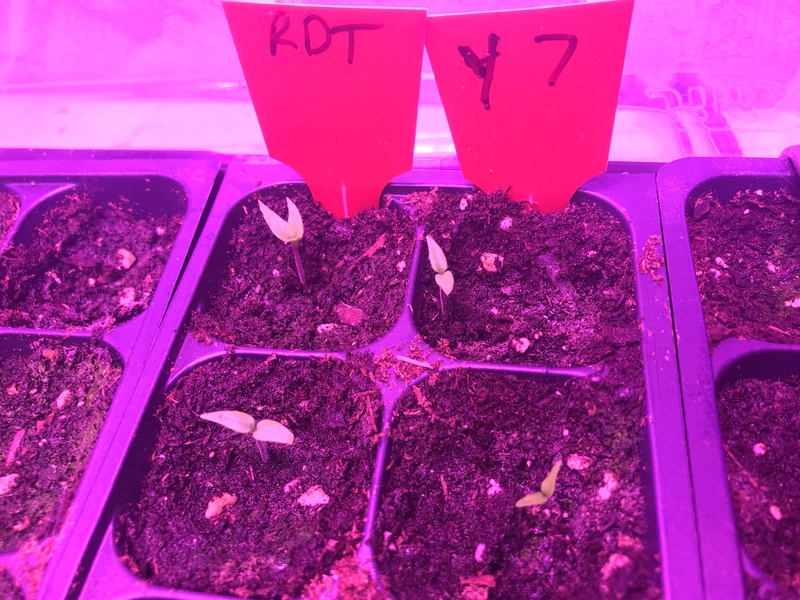 Any time I get multiple sprouts in the same cell, I pull the smaller one and move directly to a 2.5" Chocolate Douglah went 7-7 so plenty of them to go around. 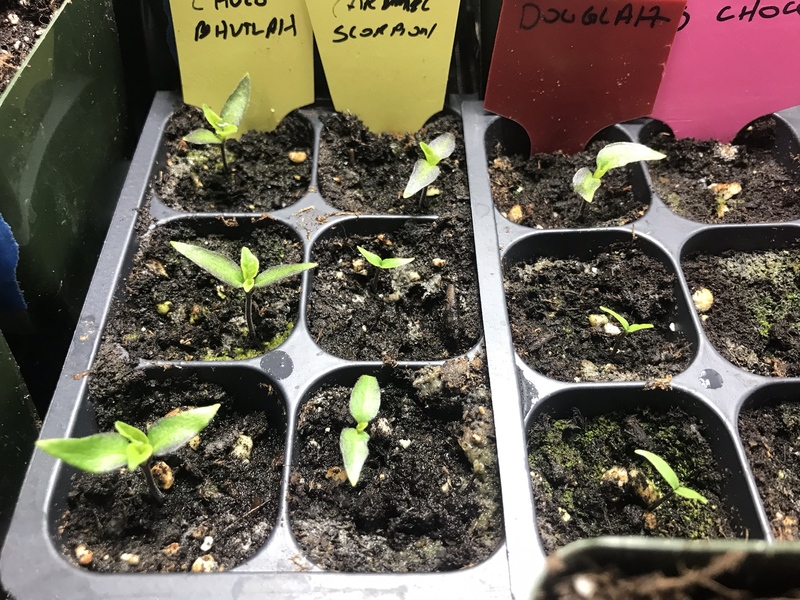 Speaking of Jigsaws...I just planted the "other" Jigsaws from Chili Pepper Institute which are an Ornamental variety with variegated leaves much like a fish pepper. I also planted most of my Annuum varieties and my one and only Frutescens "Tehrani" a freebie from Pepper Lover. Also into the dirt went some Big Jim's from two different sources, Numex Twilight and Black Magic and Black Zebra Cherry tomatoes. One of my favorite parts of the grow. Best of times and worst of times for me - joy when they pop and not so much when they don't. 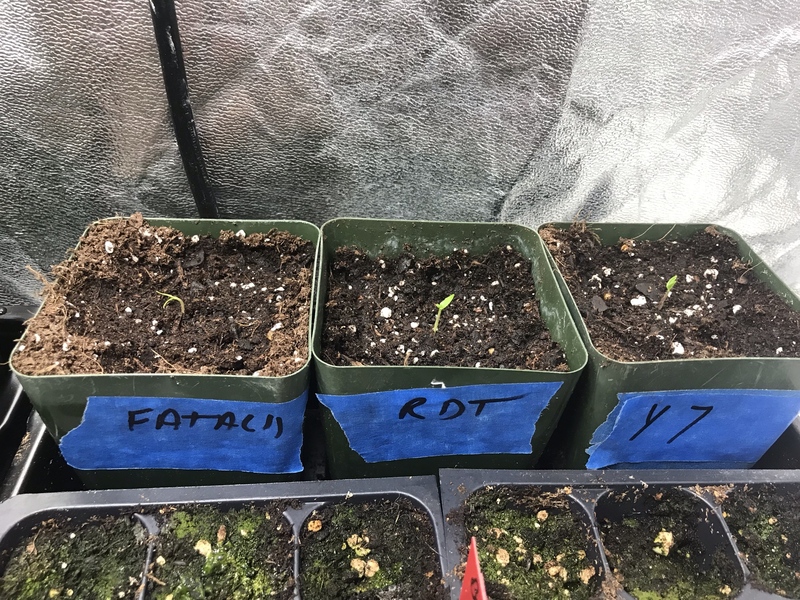 Glad to see your grow moving along so well and how awesome to have all that outdoor space to work with - and a great climate to boot! Ok...so my prediction was pretty close. Except it only took until this evening and now every variety (second round seeds) has at least one hook. Forgot to mention I had no primo hooks yesterday either, but they showed up today. Went from 0 to 4 or 5 fataliis...One tiny Reaper hook. 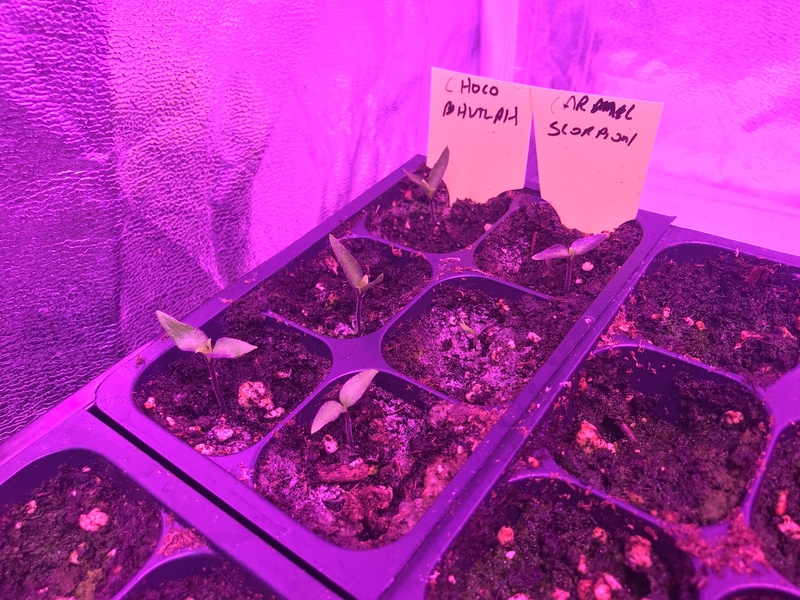 I'm going to give them a couple more days and I will update with exactly how many went from seed to plant, near 60 I think...Here are a few obligatory pics. 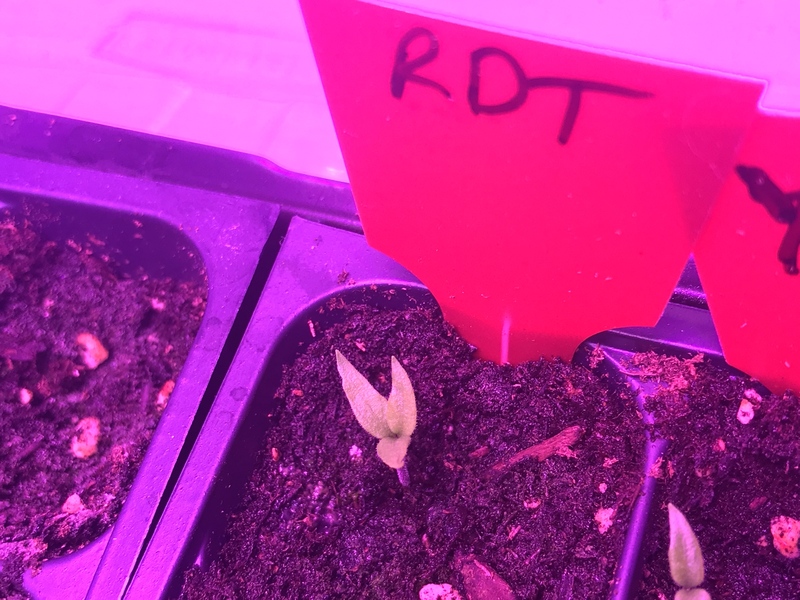 First time growing many of these under the LED grow lights, some purpling going on, but I ain't sweating it. I added a few CFLs to use during photos and the pics look much better. 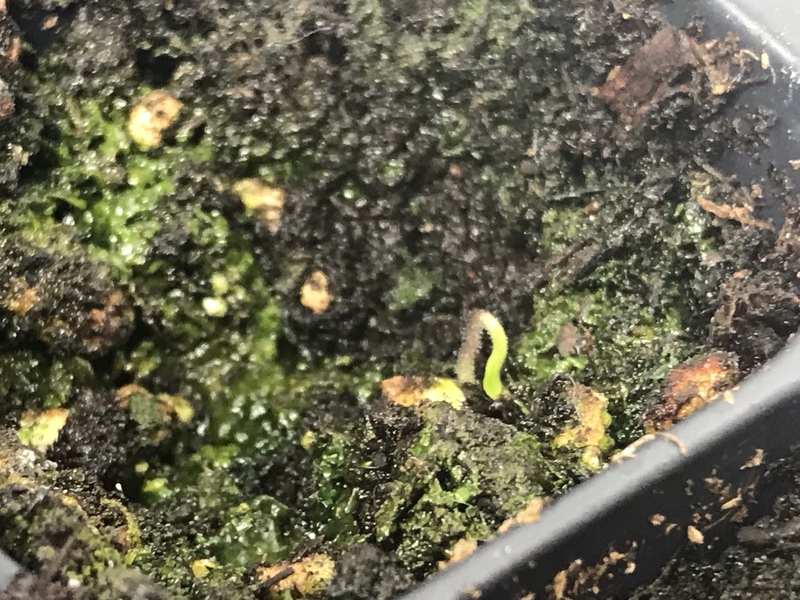 Bhut Orange Copenhagen in the foreground and a tiny Primo hook in the background. Looks like pretty good coverage, brother. Great that you have at least one of each variety. Am the teeniest bit jealous of your growing space. 2.5 acres sounds just about right! Out of town this week..spamants are in the shaky hands of my son. He says they all still look good. Looking for fresh pods available for sale ASAP, PayPal ready!